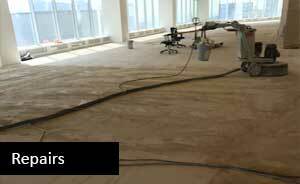 Diamond Rock Concrete Solutions is a trusted concrete floor specialist of epoxy and urethane finishes. We are known for our experience, quality of working and exceptional service. While based in the London Ontario region, our concrete flooring projects take in the nearby communities of Hamilton, Kitchener, Brantford, St.Catharines, and Niagara. With over 20 years experience in concrete flooring solutions you can count on us to help design and install the most effective concrete finish for your application. As a concrete flooring specialist, we use advanced 100% solid epoxy floor coating systems to protect and rejuvenate old concrete surfaces that are boring and/or are in need of repair. Our concrete flooring services include: epoxy and urethane floor coatings, polished concrete flooring, concrete sealing, stripping and preparation, leveling, concrete floor repairs, and concrete demotion. The types of finishes we apply to concrete surfaces vary widely as there are an unlimited number of colour and pattern combinations. 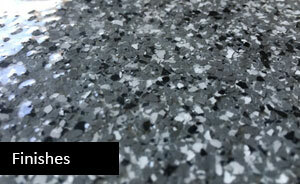 From stains and dyes to metallic flakes and granules and everything in between, the decorative possibilities are endless. That’s one of the things that makes our profession so interesting – no two jobs are alike! We offer complete concrete solutions that include repairs, finishes, and creative designs. Throughout Southwestern Ontario we have enjoyed transforming old drab concrete surfaces into healthy, durable, and appealing floors that you can be proud to walk on every day. Our flooring solutions don’t just look great. They’re safe, easy to maintain, and add lasting value to your home and business. 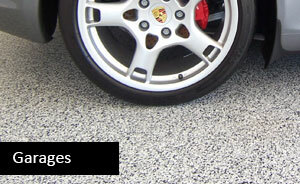 For a FREE, no obligation quote on a new concrete flooring system call us or send us a quick email.